Complete your barn door installation with a set of matching pull handles. 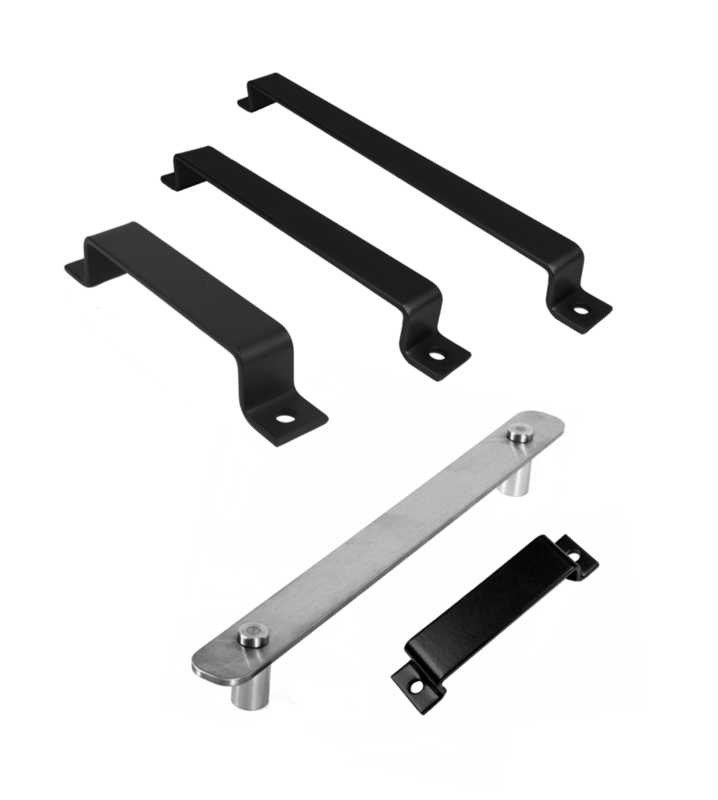 Our solid bar stock handles can be mounted on the interior (room-facing) side of single or double barn doors. They are available in raw steel and all 16 powder coat colors in 7-inch, 11-inch and 16-inch lengths. We have stylish handles to match our Stainless Steel Series and Shutter Series hardware, too. See our online product catalogs for current offerings. We also offer flush door pulls that can be mounted on the wall-facing side of your door. Goldberg Brothers also makes film reel pull handles that can be used on a pair of biparting barn doors. Each set is made from a genuine Goldberg Brothers 35mm cast aluminum film reel. 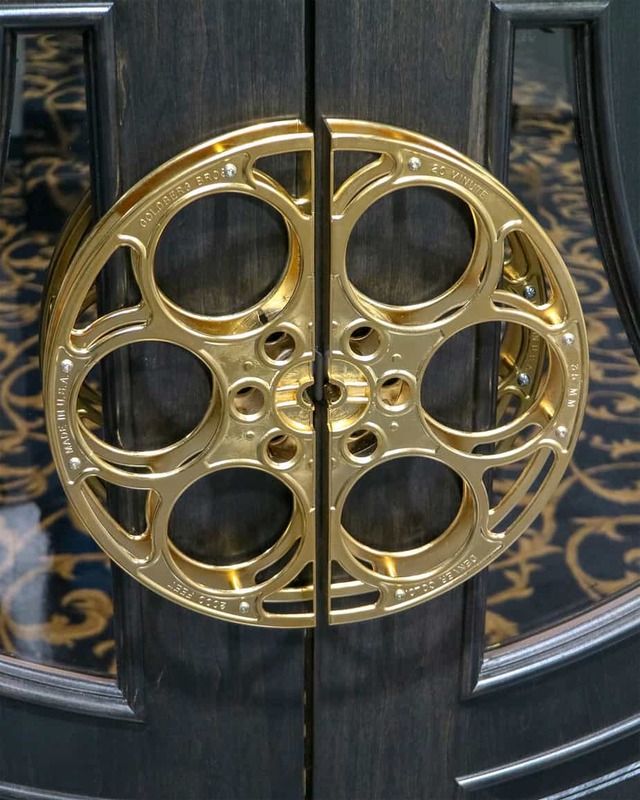 Film reel pull handles can be purchased from any of our movie decor products dealers. They are not available from our barn door hardware retailers.